Today the second global Lausanne Catholic-Evangelical Conversation begins at Mundelein Seminary, near Chicago. I have the joy of leading this small group dialogue. Tonight there is an “open” conversation at Mundelein and you are welcome to come. If you have not registered it is free at ACT3. Our special evening event begins at 7:00 p.m. It is a dialogue between Catholic and evangelical Protestant leaders who are in conversation about the work of global evangelization and Christian unity. Fr. Robert Barron, rector of Mundelein Seminary, and Rev. 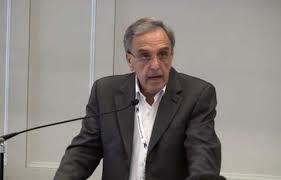 Norberto Saracco, pastor and evangelical Protestant leader from Buenos Aires, will each present a response to the subject: “Pope Francis and Unity in Mission Between Catholics and Evangelicals.” (Norberto is a personal friend of Pope Francis.) Responses will be offered to both presenters by Fr. Thomas Baima (Mundelein Seminary) and Rev. John Armstrong (ACT3 Network). The audience will then be encouraged to ask questions. The presentations will be made in Spanish and English, with attenders given the printed talk in their language of choice at the door. Registration is free but seating is limited so please register online. The Conference Center at Mundelein Seminary located at 1000 E. Maple Ave. Mundelein, IL 60060. Pray for me as I lead 26 people in a two-day conversation that we all pray will result in deeper unity and greater oneness of presenting the gospel to the whole world. A great event, and a needed conversation. Will you be posting the talks that are given? The talks are conversations and in private except for tonight’s event, which will be available in a few weeks on video on our website. John, Wonderful forum last night and some lively and enlightening discussion, as advertised. 🙂 Thank you. My blog is read by a number of leaders from Catholic and Protestant schools. I am Catholic, however, I know how to use a great deal of discernment in my weekly post. Irony has it, I have a few Bob Jones University grads that love my blog and read east post! They have sent me thank you notes via e-mail. Some connect to me via LinkedIn, and realize that I graduated from a Catholic college. They realize my education prepared me quite well to address some of ills in the church. This leads me to believe that Fr. Longenecker’s dream that Bob Jones University will repent for its anti-Catholicism is closer than we think. Michael Bayer liked this on Facebook. Josh Wilson liked this on Facebook. Judy Browder Shaw liked this on Facebook. Kevin Emmert liked this on Facebook.